Two Cent Sparrow: Shopping Spree!! Check out the coupon code. 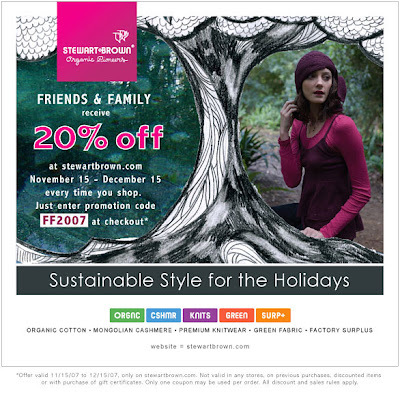 My friend Rose works for Stewart+Brown and they have awesome clothes. They are a bit pricey but everything is organic and super cute and cozy. RJ got me a few pieces last year and I wear them ALL THE TIME.